RX100 V or VA - used or brand new? 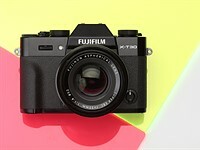 Thinking of buying my first RX100 as a complement to my FF Nikon. Question, a used RX100 V @ $700 or a brand new RX100 VA @ 899? Is there any other noticible diffecenses except for better menus... any difference in picture quality or low light? Re: RX100 V or VA - used or brand new? 2 RX10IV: what causes changes in image size?